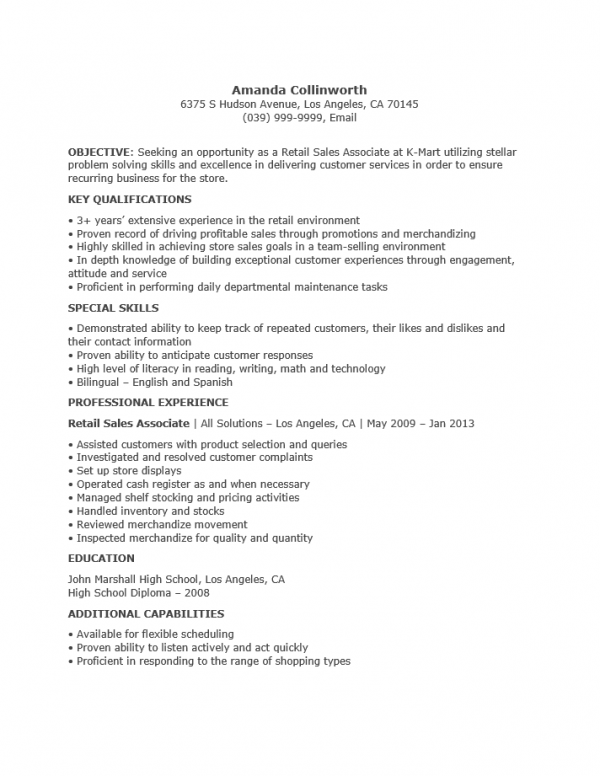 The Professional Sales Associate Resume Template aids those seeking a professional sales position in conducting a smooth job search. This is achieved by providing a guideline for composing a resume as well as a method of quickly revising the document when necessary. Thus a job hunter can be assure of sending in a quality document relatively quickly. This is important since a resume acts as a frame of reference for a recruiter, it is the first impression a candidate will make on an employer, and will often serve as a topic of conversation during an interview. That makes this document quite an important one to develop properly. It is fairly obvious one may want to make use of any tool available in creating one. A template is a blank document that will be filled out like a form with the opportunity to easily reuse it should the document require revisions. Generally, it is recommended to edit a resume to cater to a potential employer’s particular requirements. Additionally, it is considered a thoughtful and professional touch to actually mention the name of the company one is applying to in both a cover letter and a resume. This can be time consuming if one must start from scratch every time he or she wishes to pursue an opportunity however by using a template quite a bit of the work is done. One may compose a master document from a resume template then copies and pastes basic information, in the future, onto a blank resume template. This can save an applicant quite a bit of work as opposed to starting from scratch whenever they wish to apply to a specific opportunity. Candidates who send in a polished resume earlier rather than later usually have a better chance at winning an interview than otherwise. Step 1. Enter your name and contact information at the top of the resume. Step 2. Write a statement or two specifically mentioning you want to work for that employer and what you bring to the table. Place this in the “Objective” section. Step 4. In the “Special Skills” section, list talents that you possess which relate to the field and may be useful in the position you are applying to. Step 5. In the “Professional Experience” section, provide an employment history report of yourself. Make sure to follow the format listed. Step 6. List the degrees you earned in the “Education” section. Step 7. If you have any abilities or proficiencies that may be useful to the potential employer list them in the “Additional Capabilities” section.